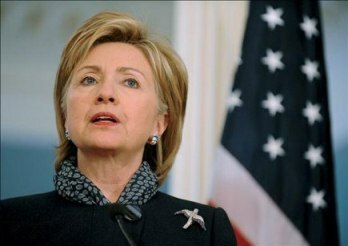 Hillary to Deliver Syria to Jihadists? According to Hillary Clinton’s foreign policy advisor, Jeremy Bash, if Clinton is elected she will order a “re-set” of US policy toward Syria to emphasize the “murderous” nature of the Assad regime. As the Telegraph reports, Hillary Clinton will breathe new life into the “Assad must go” camp. She will likely launch a full-scale US invasion of Syria. A Clinton administration will not shrink from making clear to the world exactly what the Assad regime is. It is a murderous regime that violates human rights; that has violated international law; used chemical weapons against his own people; has killed hundreds of thousands of people, including tens of thousands of children. Of course claims that Assad used chemical weapons on his own people is the long since disproven neocon cri de guerre to push Obama into an attack on the Syrian government. The 2013 gas attack near Ghouta was likely a provocationby the rebels hoping to draw the US directly into their fight. This “he gassed his own people” line is the Syrian version of Saddam’s “WMDs,” a lie repeated ad infinitum to make the case for war. As far as violating international law, the entire two year US intervention in Syria is in clear violation of international law. The US has no legal right to bomb Syria. If Hillary becomes president and gets her way with a Syria “re-set” the prime beneficiary will be radical Islamists. There literally is no secular, moderate opposition to the Assad government. How do we know the jihadists will come out on top? Her last great intervention, the “liberation” of Libya should be precedent. Gaddafi was no angel, but until shortly before he was overthrown he was a Washington ally, a secular counterpart to creeping Islamization of the region. After the 2011 “liberation” strongly backed by Hillary, Libya has turned into a hellhole of competing radical Islamist militias and warlords. ISIS and al-Qaeda were unheard of in Libya before Hillary got her hands on it. Now it is rotten with them. When it comes to Syria, Hillary means war.